i have realized, that every time I am using files from computer running eMule (regular sharing in my home network) I get doomed in emule. It seems, that eMule is using overall network adapter statistics to evaluate it's upload speed, and this gets untrue, if any other traffic is present on the same adapter. It depends on which version you are using. The official eMule has USS built-in which should help you to get the most out of your line just by disabling your upload limit. Yes, Xtreme is using NAFC to control your upload. It depends on YOU setting the correct UL limit in the preferences and it reserves 1/3 of your upload for eMule (IIRC). Try adjusting the preferences, maybe try to use NAFC with FULL control. Emule,Kaza...etc. welches ist der beste File-Sharing-Client fuer Software? 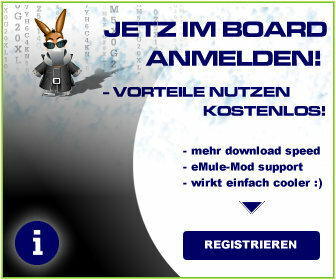 emule files im neuen esel ?